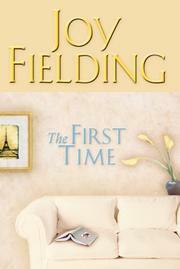 Fielding forgoes the criminal emphasis of her recent soccer-mom thrillers (Missing Pieces, 1997, etc.) to focus on the greatest noncriminal peril of all: an early death sentence. It hasn't all been roses for Mattie Hart. She's never felt close to her mother or the husband who married her because she was pregnant. Now that Jake Hart is making a name in Chicago law circles, the problems continue. He can't stop chasing skirts, and his daughter Kim wants even less to do with him than most 15-year-olds. It all seems to come to a head when Jake announces that he's moving in with his latest lover, novelist Honey Novak. But Jake's desertion is only a warm-up for a far more momentous ordeal: the news that Mattie's been falling down, laughing uncontrollably, and feeling her foot go to sleep recently because she's in the early stages of ALS, the disease that struck down Lou Gehrig in his prime. What can Mattie do with the year (or, if she's lucky, two or three) she has left? Fielding acutely traces her early alternation of impulsive self-indulgence (going on a shopping spree, buying a sports car she soon won't be able to drive, arranging a fling of her own) and dull despair (the most routine tasks take longer, the simplest decisions become monstrously complicated). Along with the annoyingly banal problems she'd have to cope with even if she weren't dying, Mattie now feels a new urgency in her attempts to understand her estranged husband, whose childhood had been even more traumatic than hers. Predictably but magically, the challenge of Mattie's physical degeneration rekindles her love of life and laughter and her errant spouse. It's only in the final stages of the illness, when Mattie's state seems to require some deeper insight, that Fielding comes up short. For the most part, though, a tonic account of how one woman discovers her truest self in the face of supreme disaster.